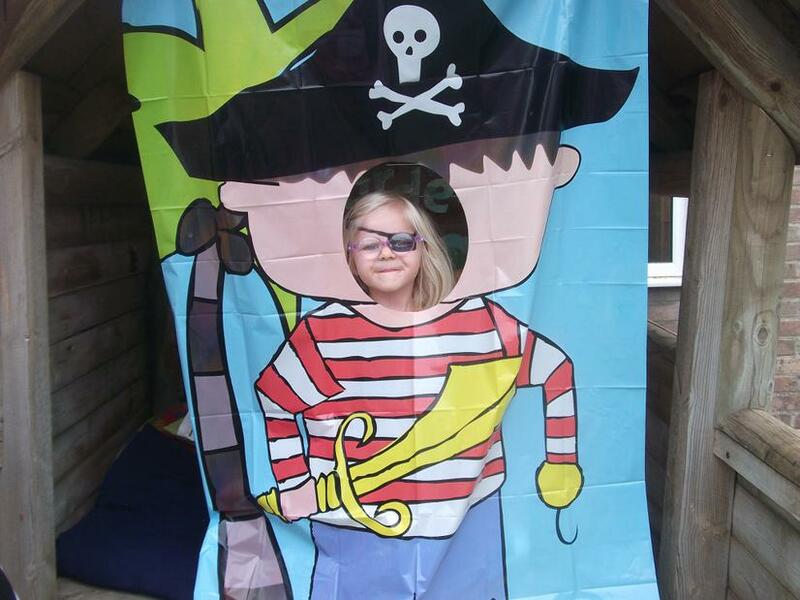 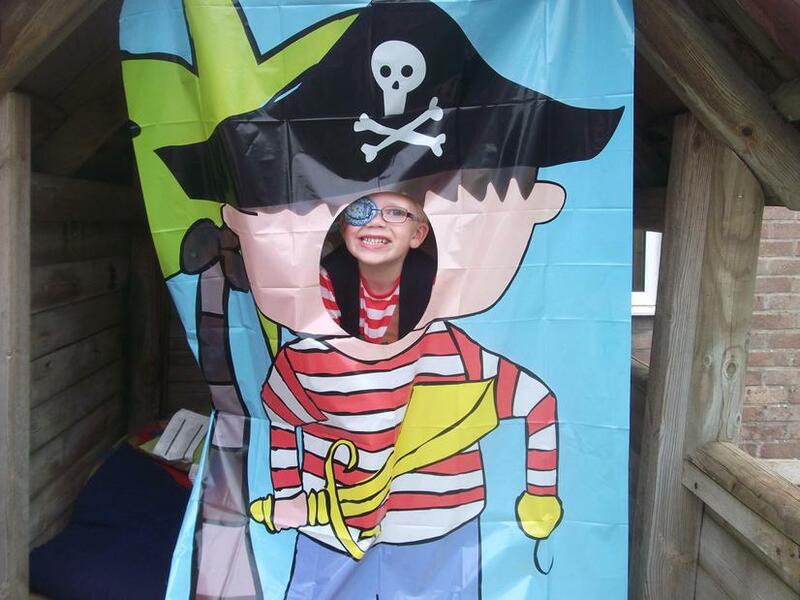 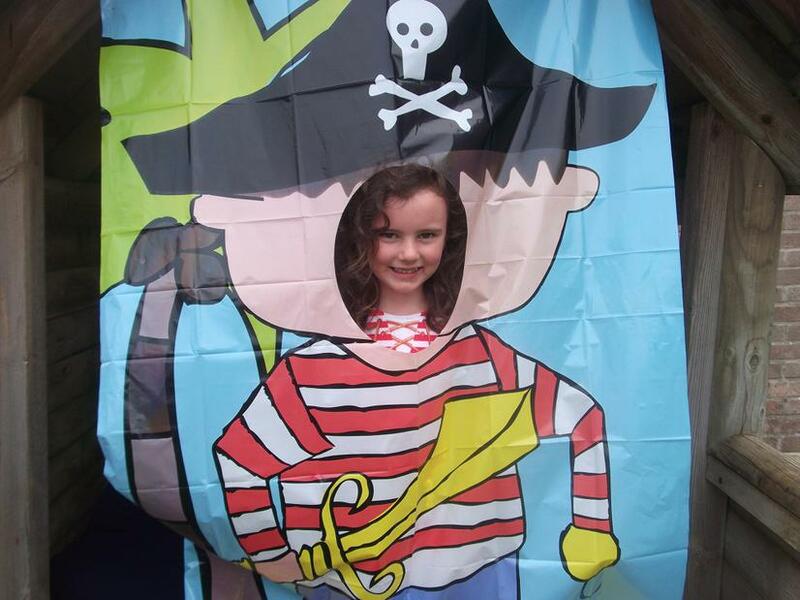 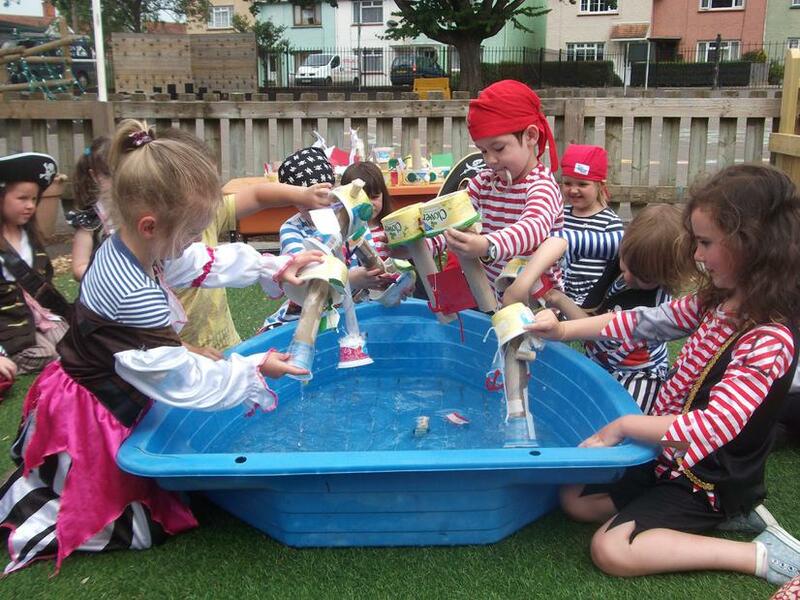 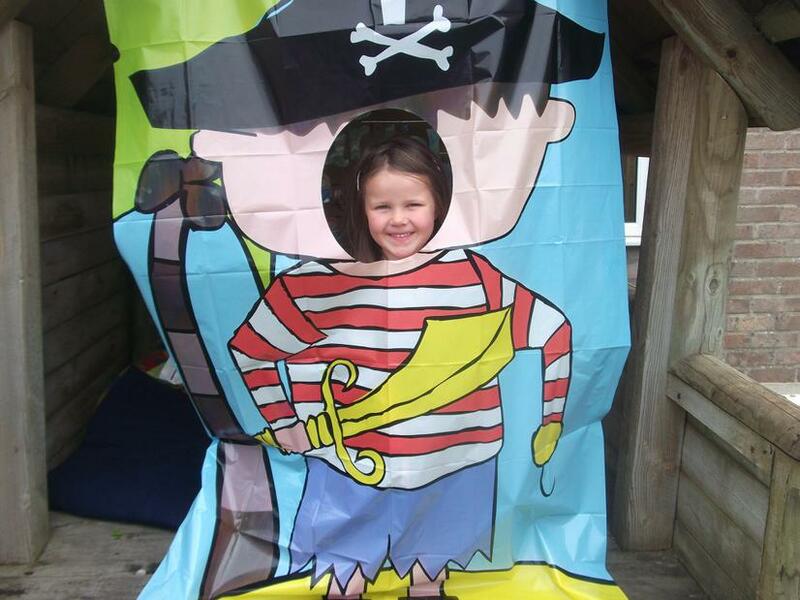 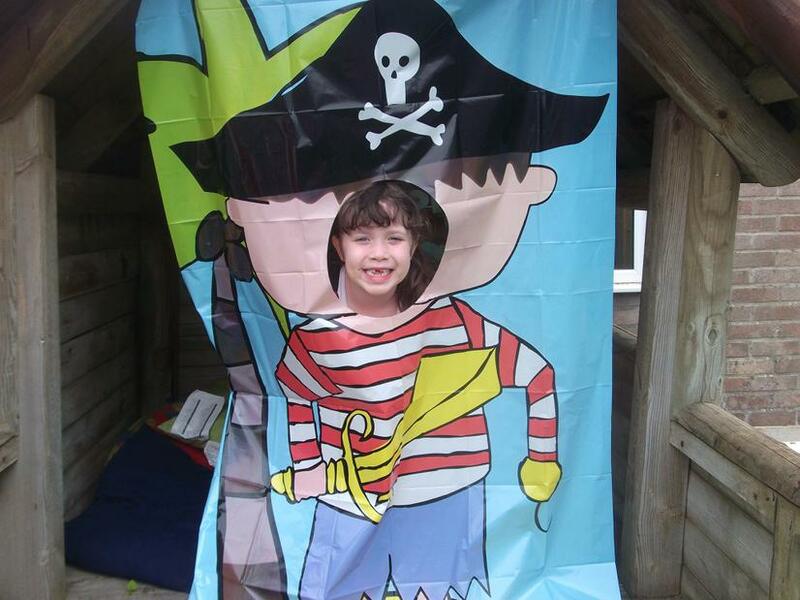 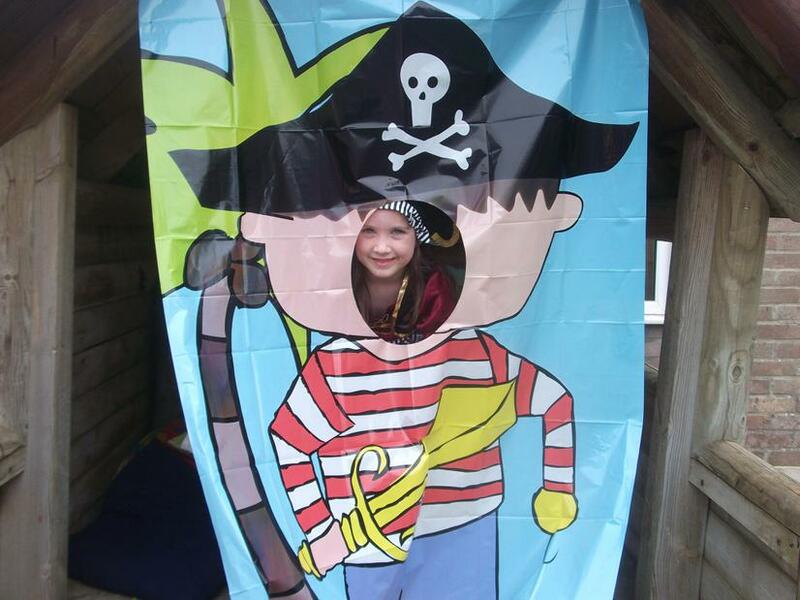 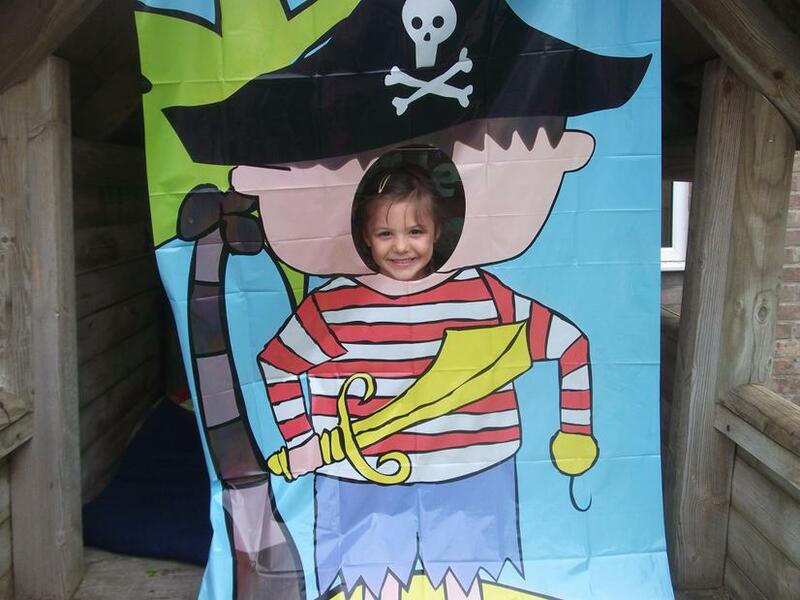 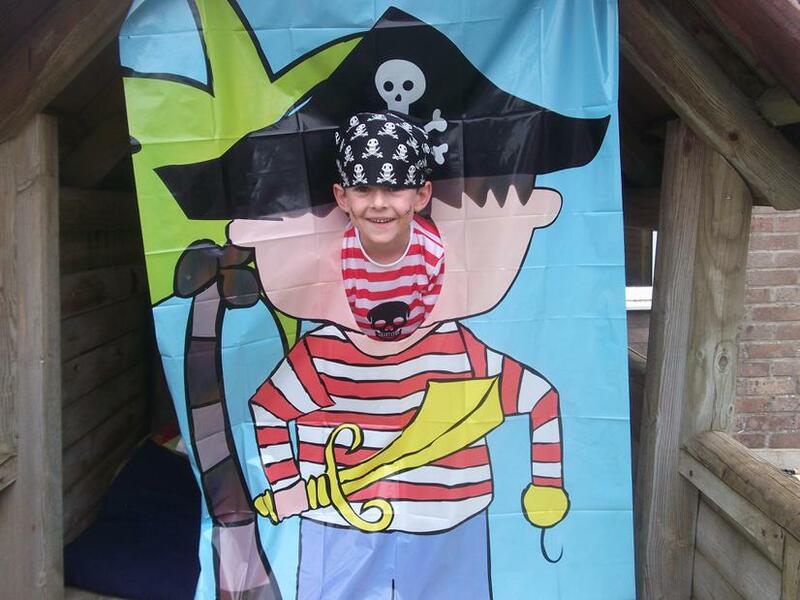 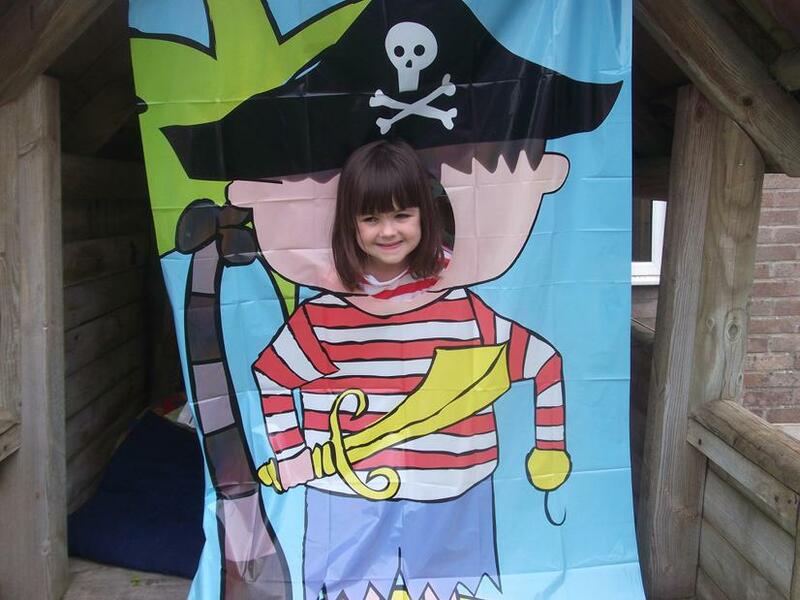 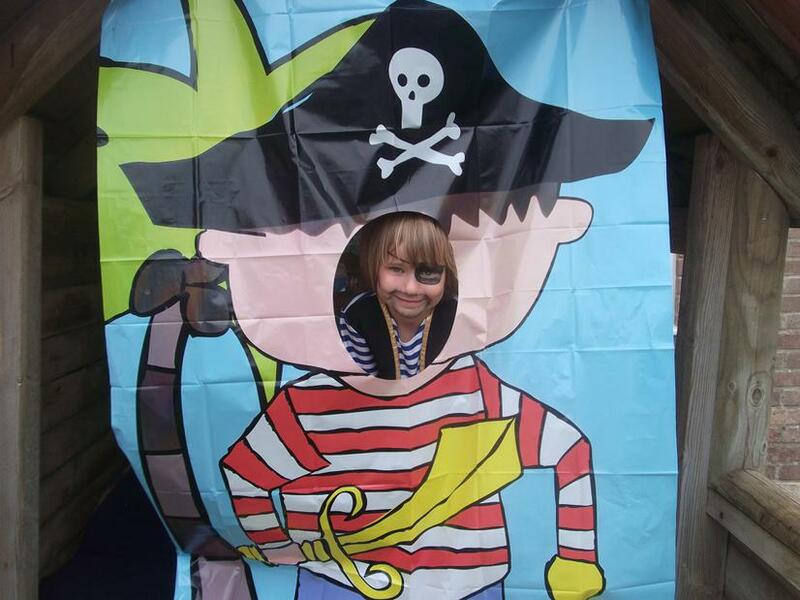 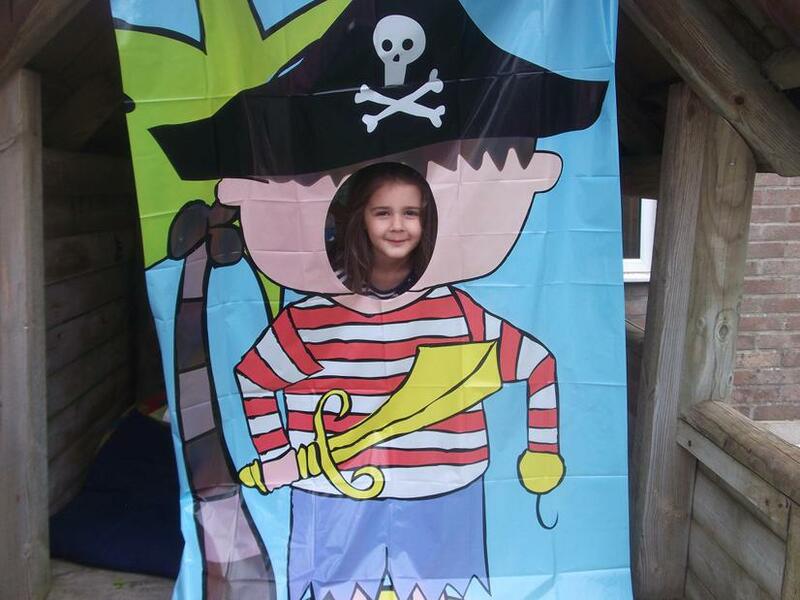 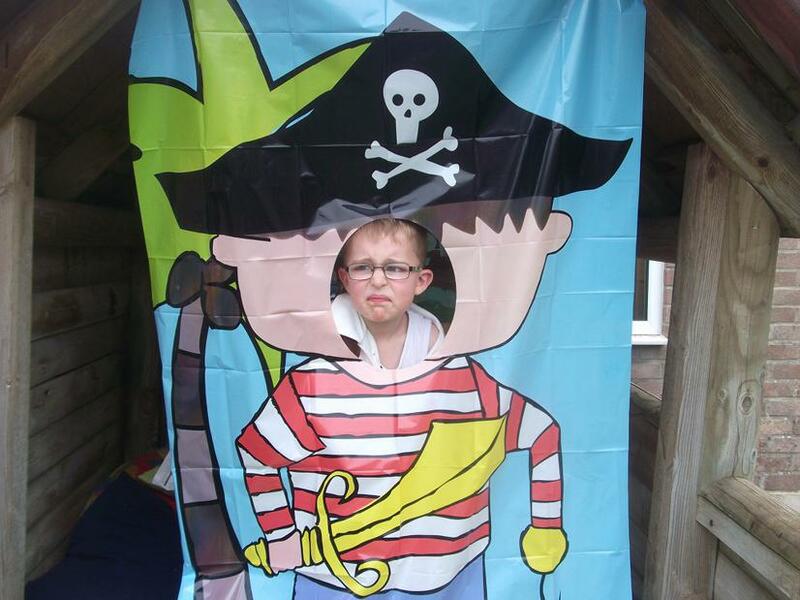 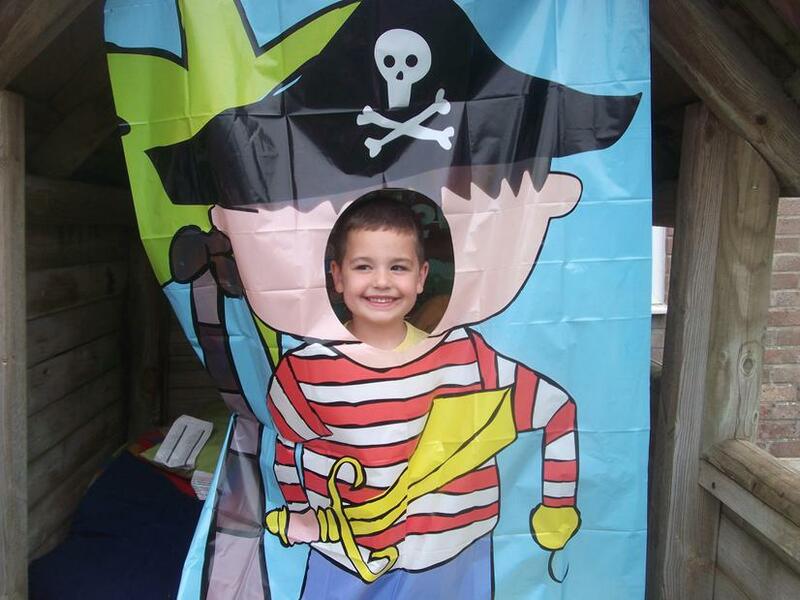 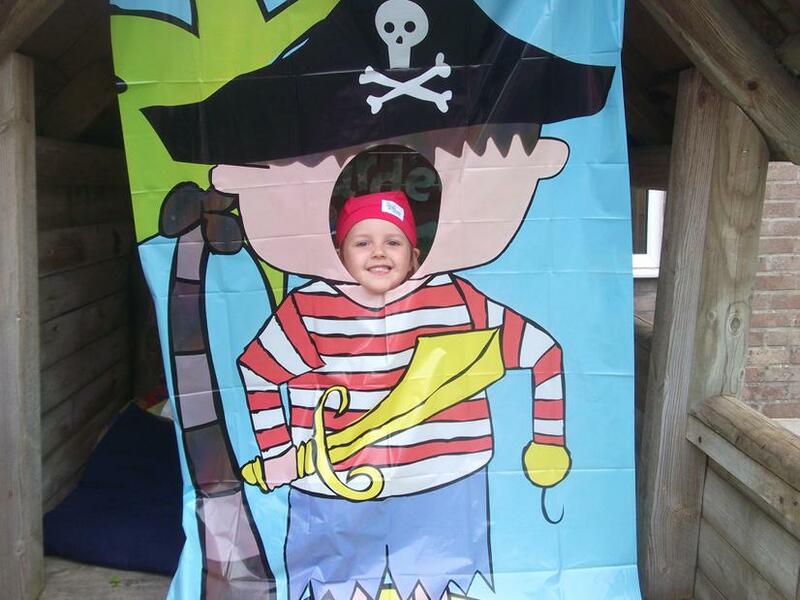 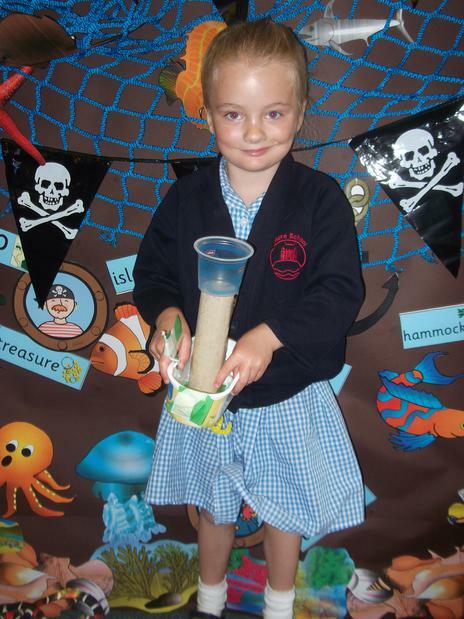 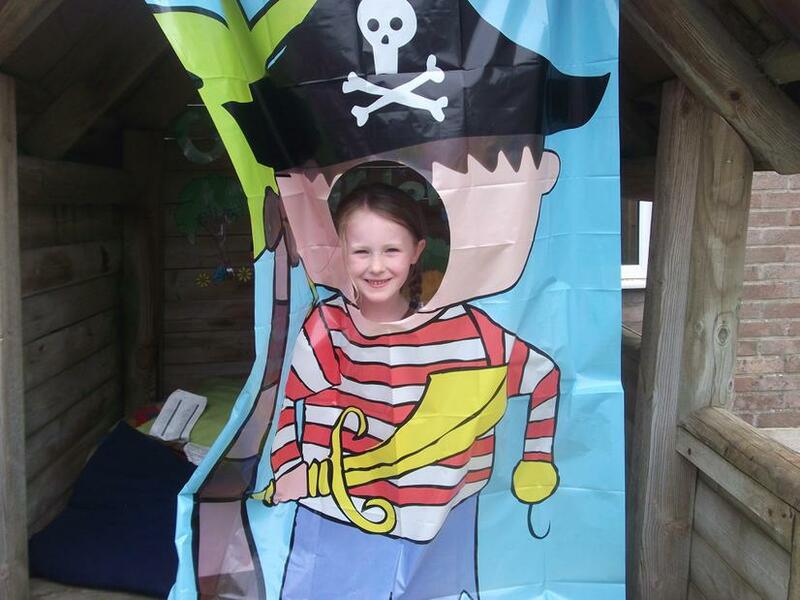 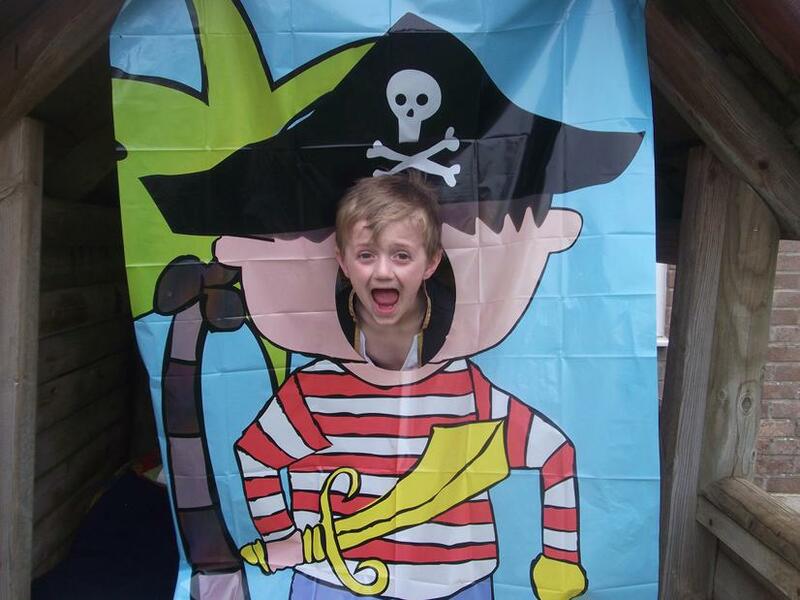 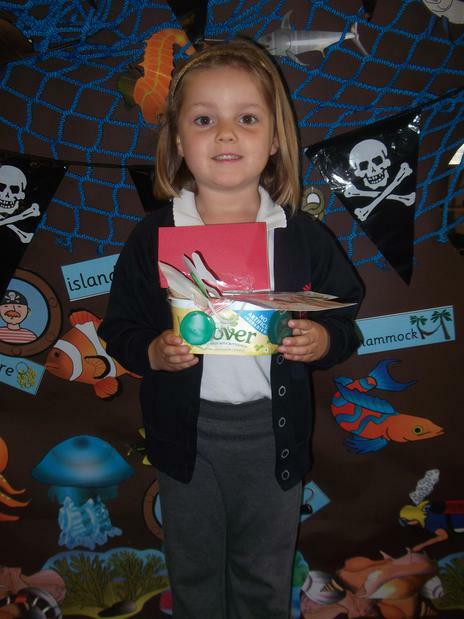 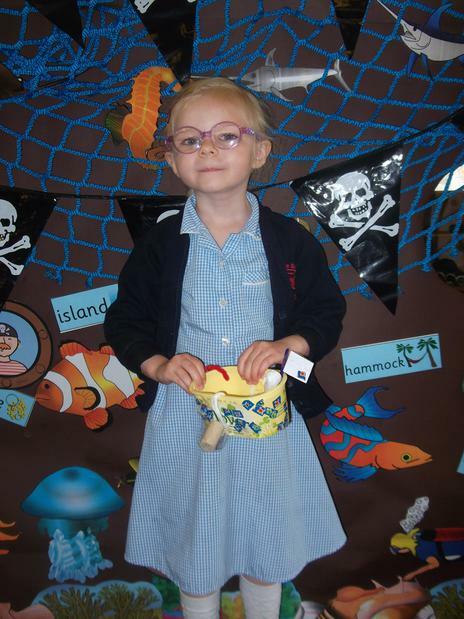 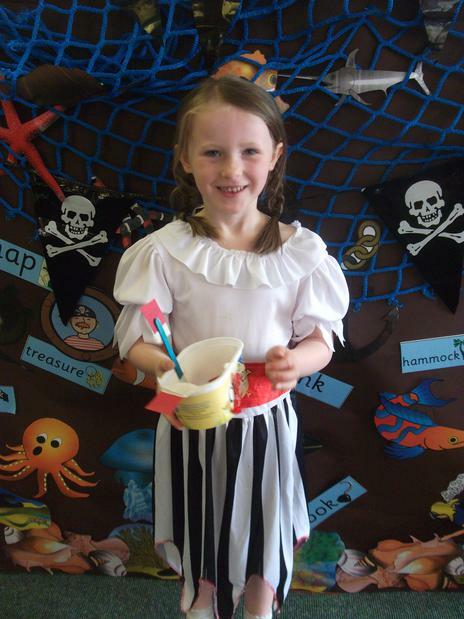 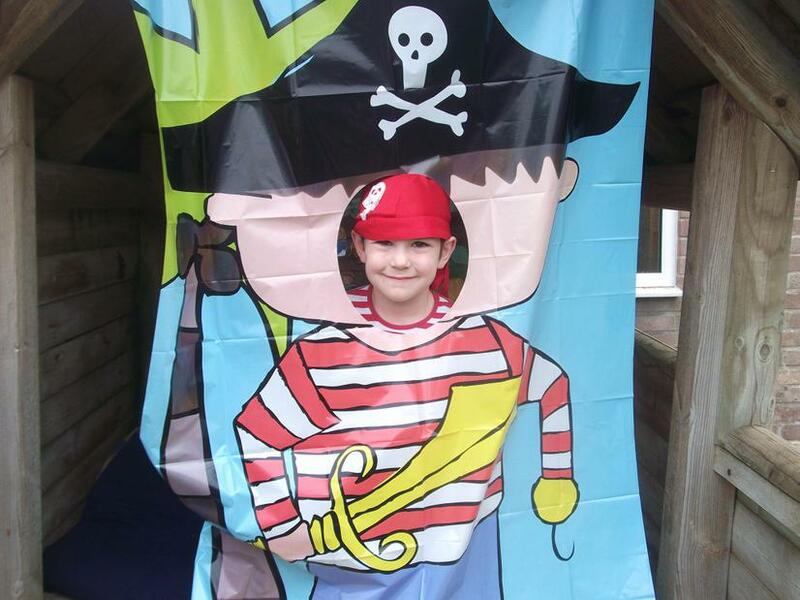 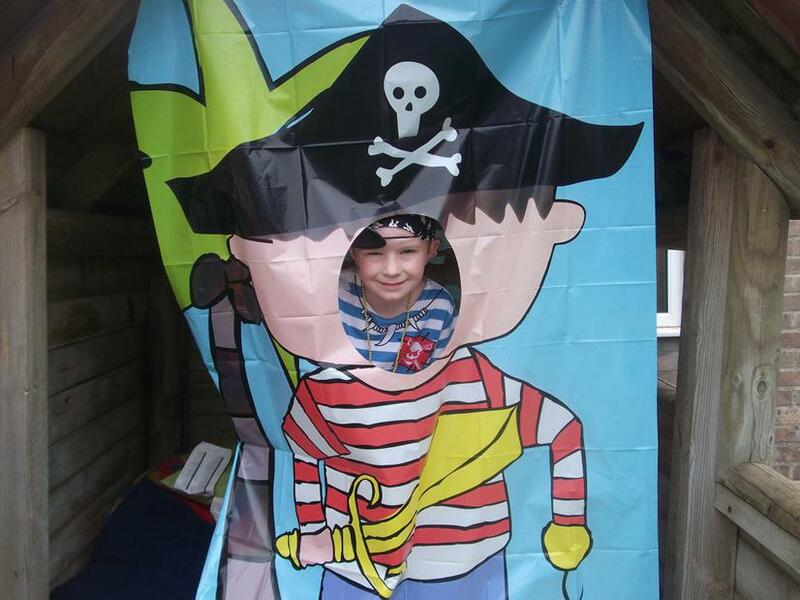 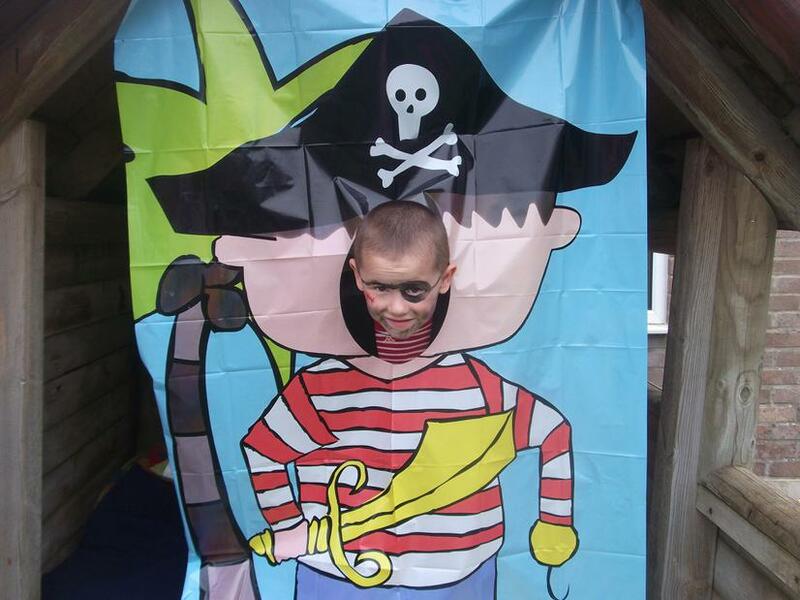 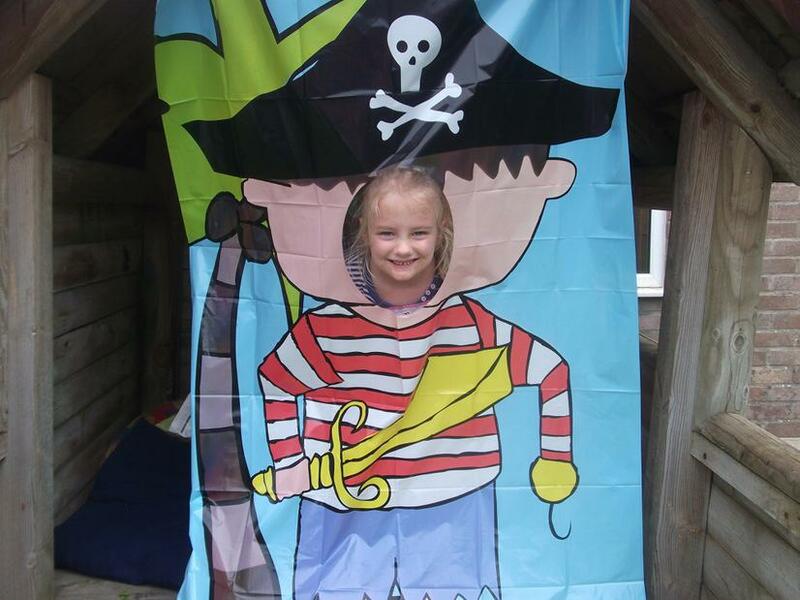 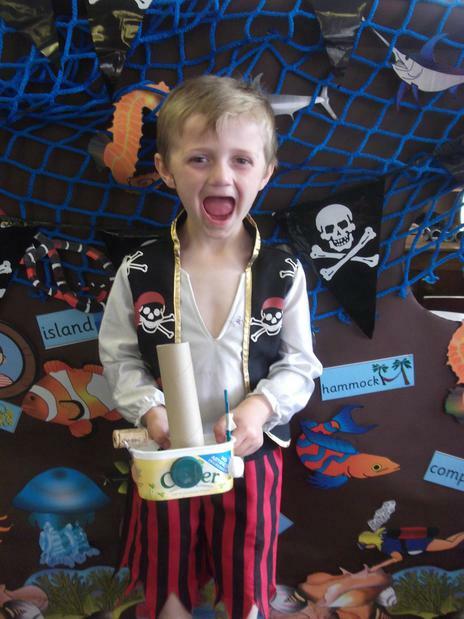 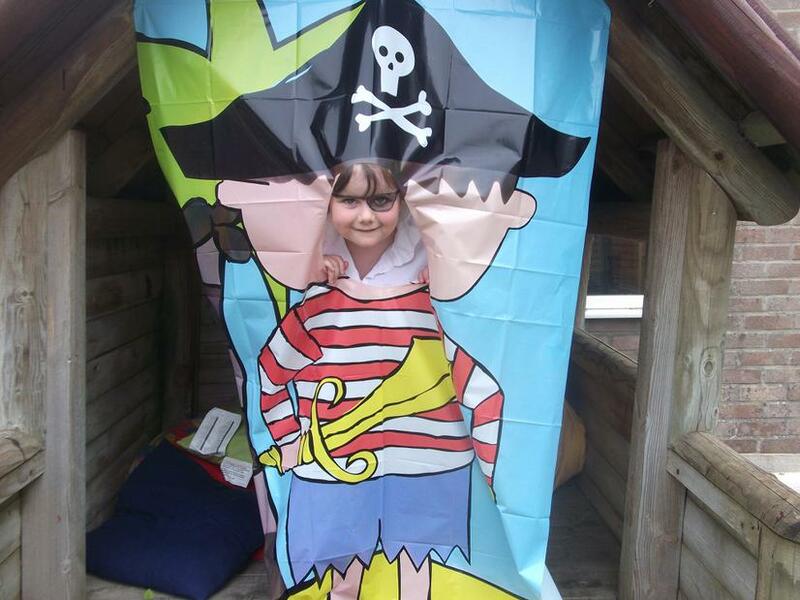 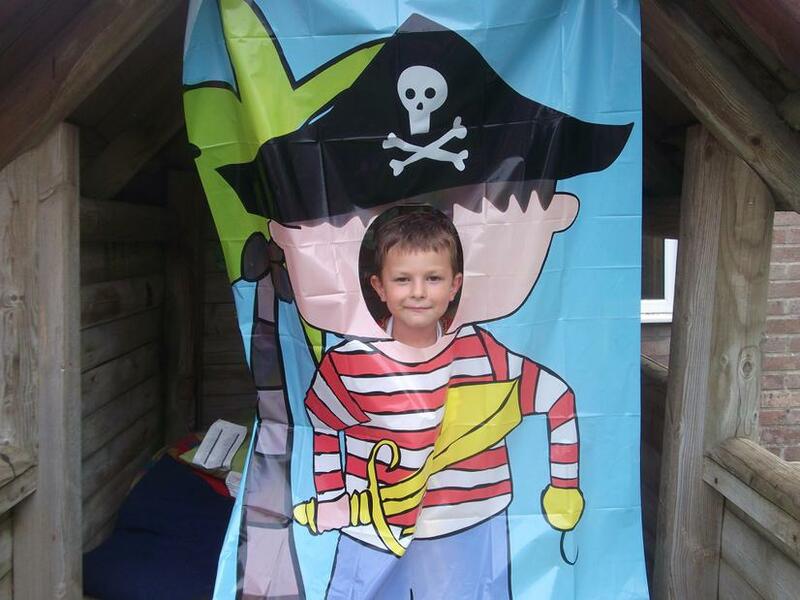 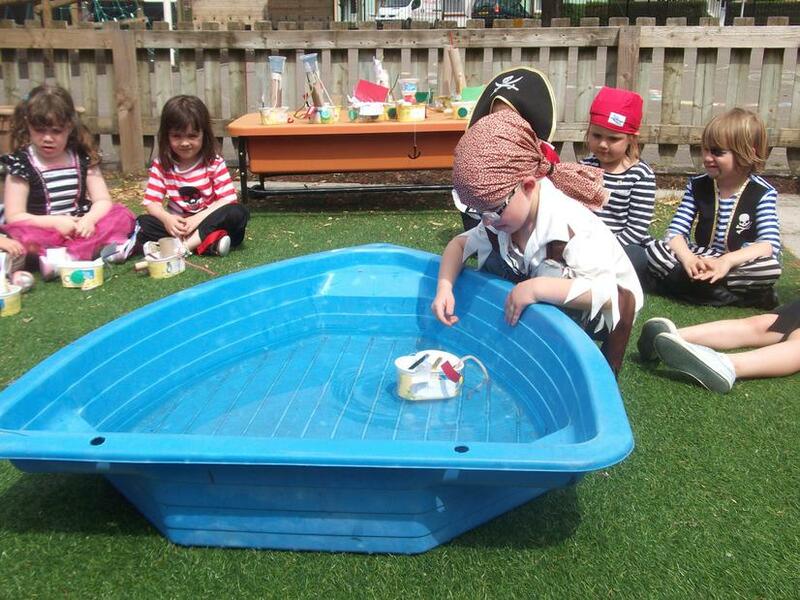 This week we have been learning all about pirates. 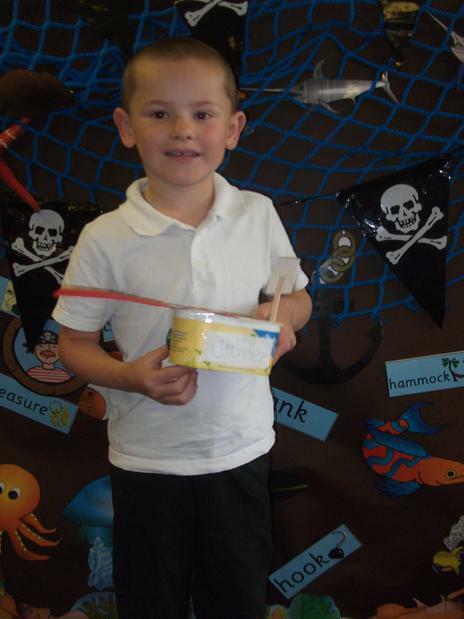 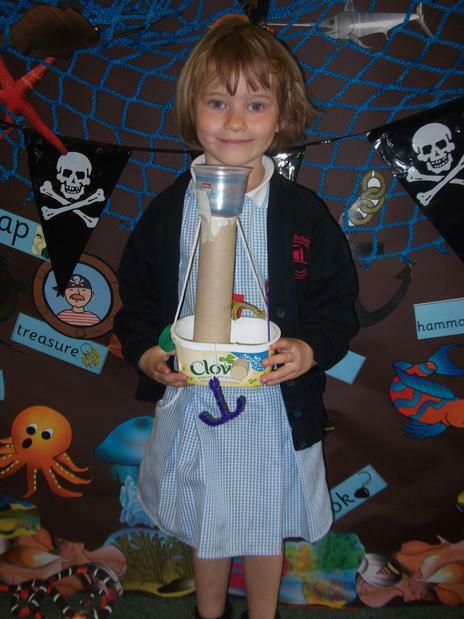 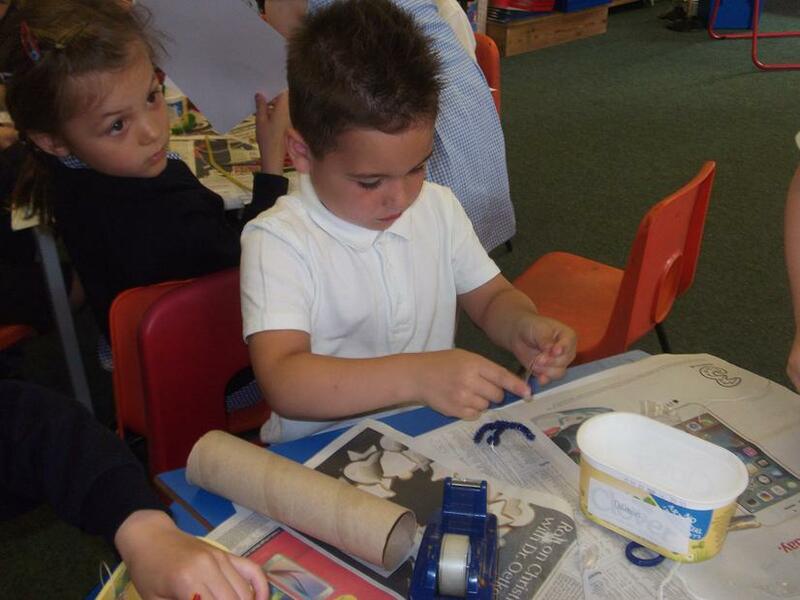 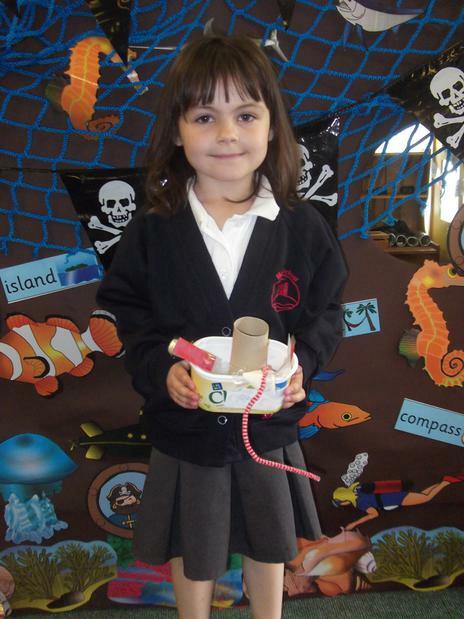 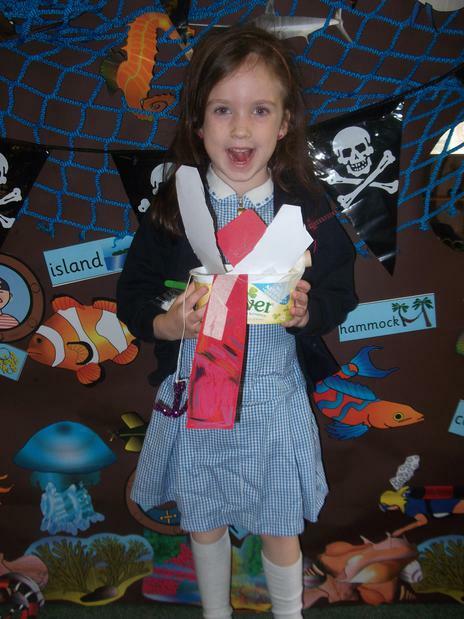 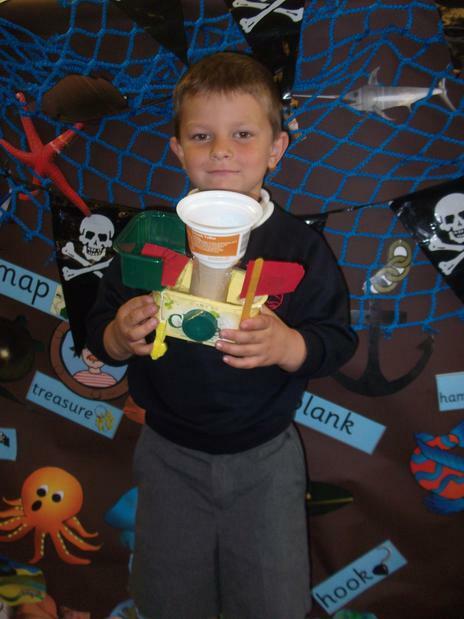 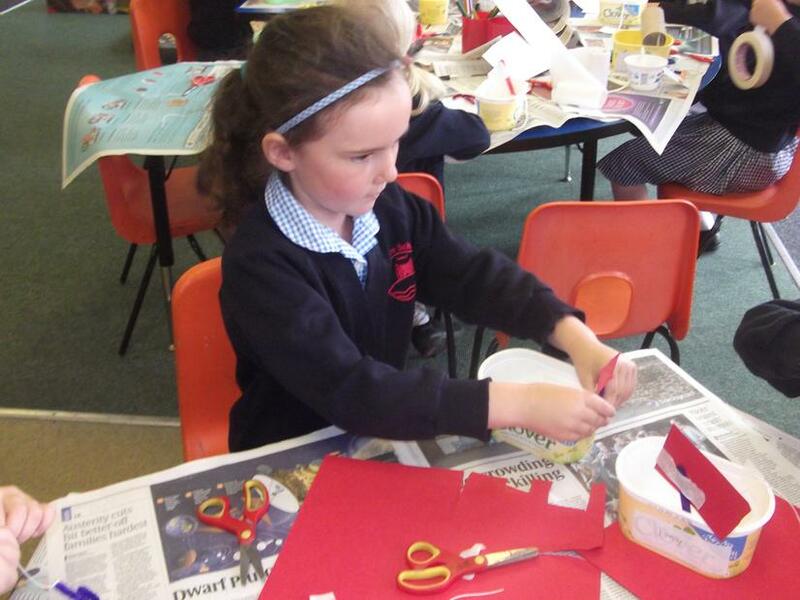 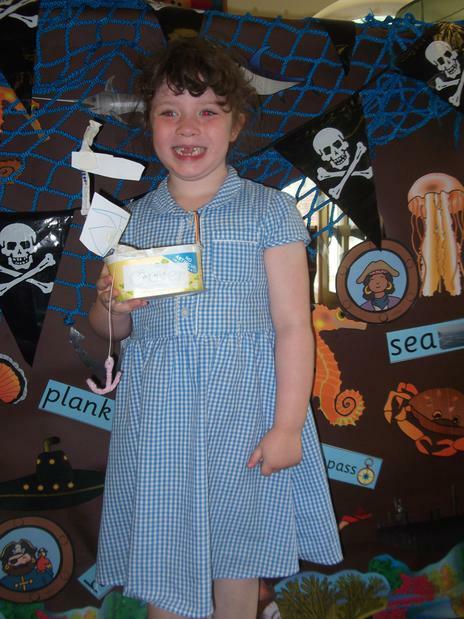 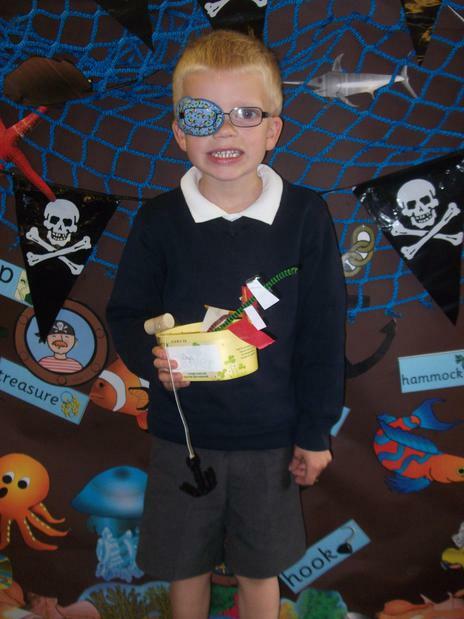 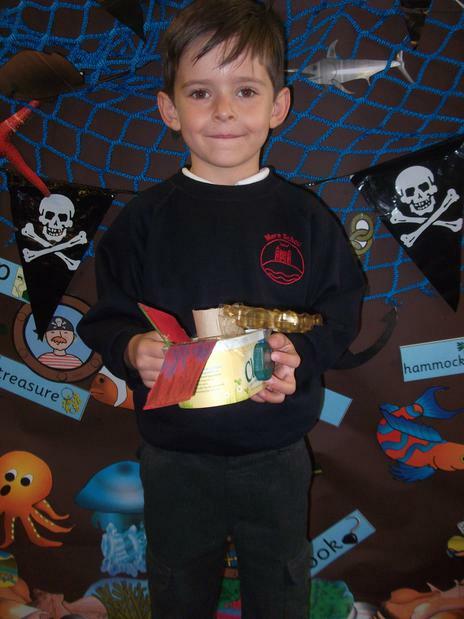 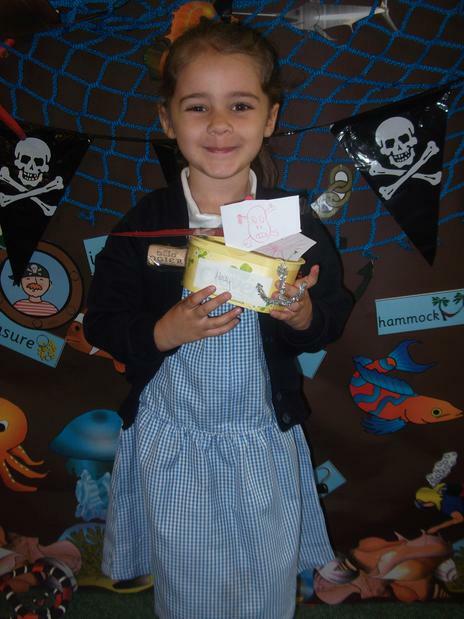 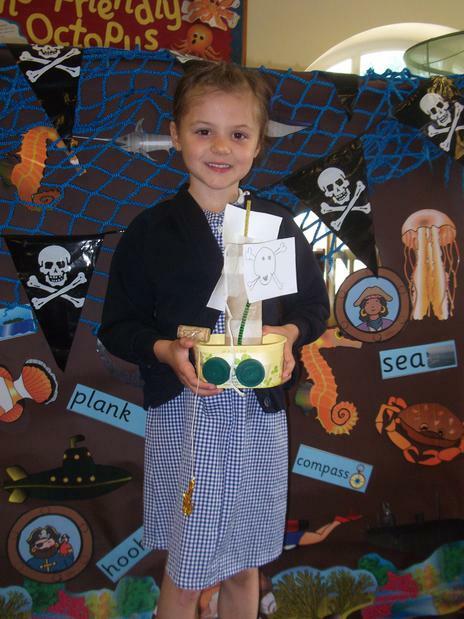 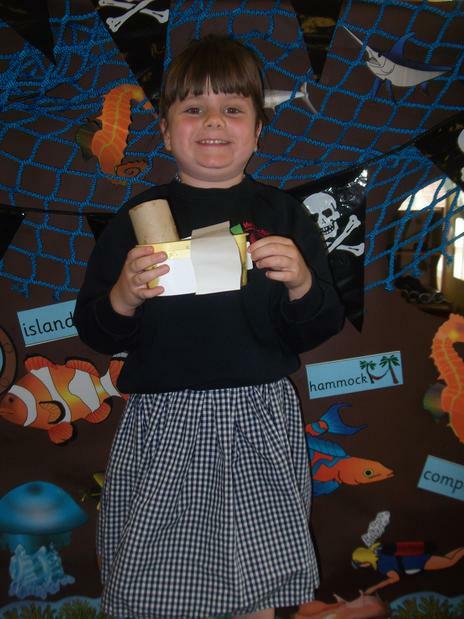 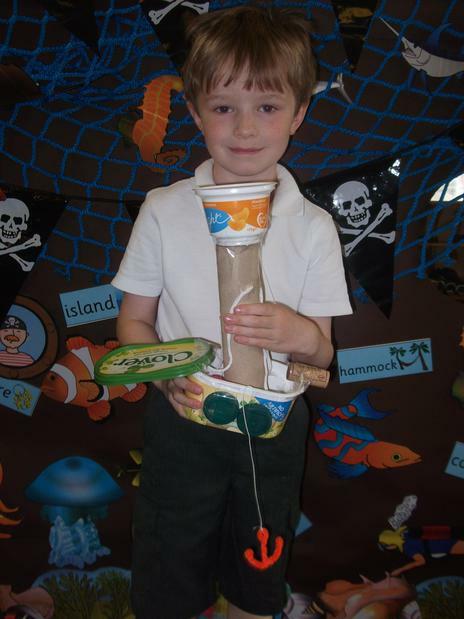 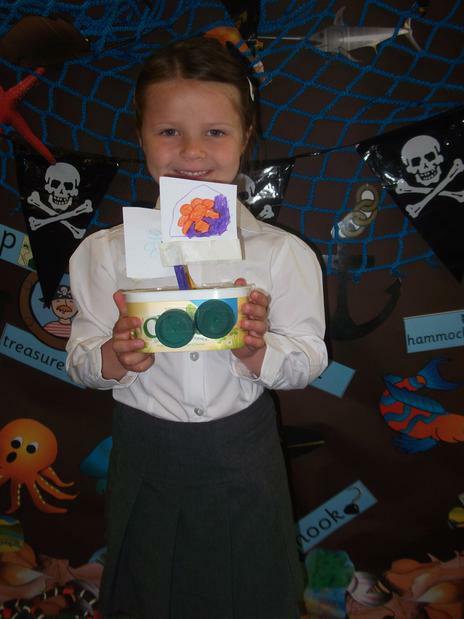 We have been busy making treasure maps, pirate ships, pirate necklaces and we wrote a pirate story. 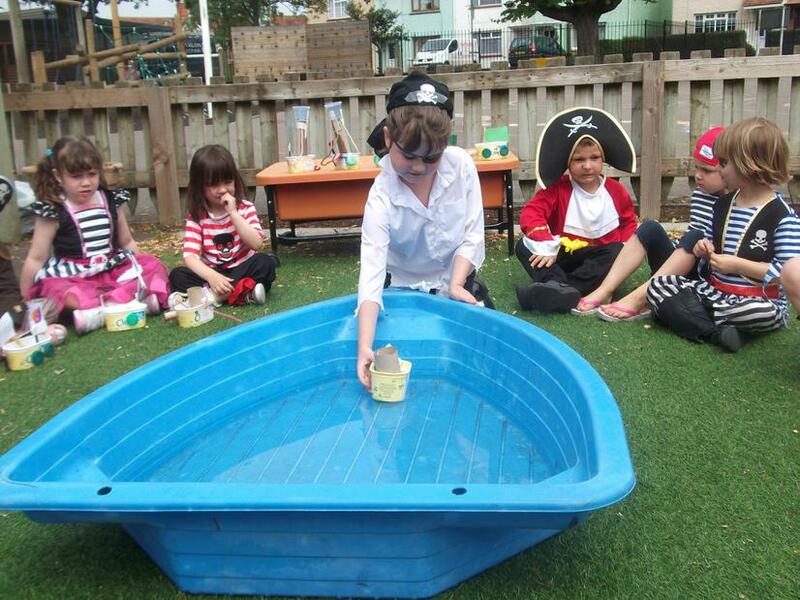 On Friday we all dressed up as pirates. 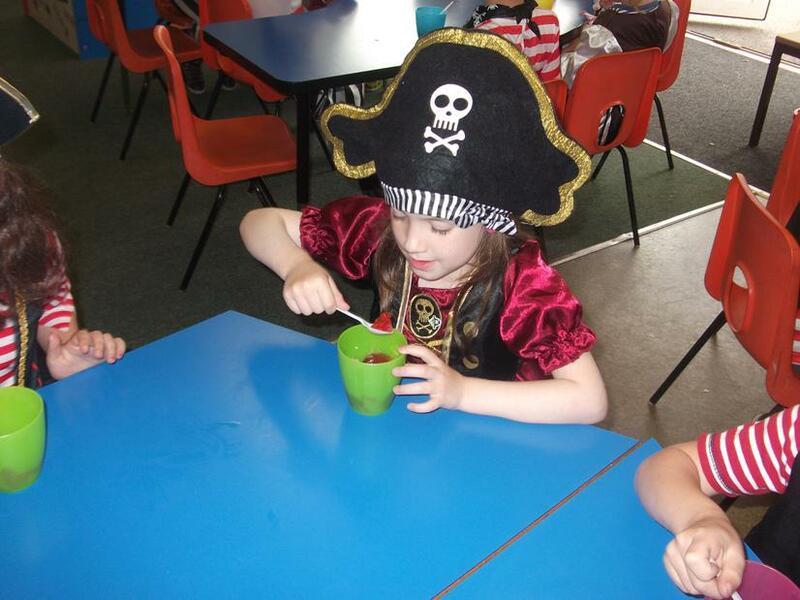 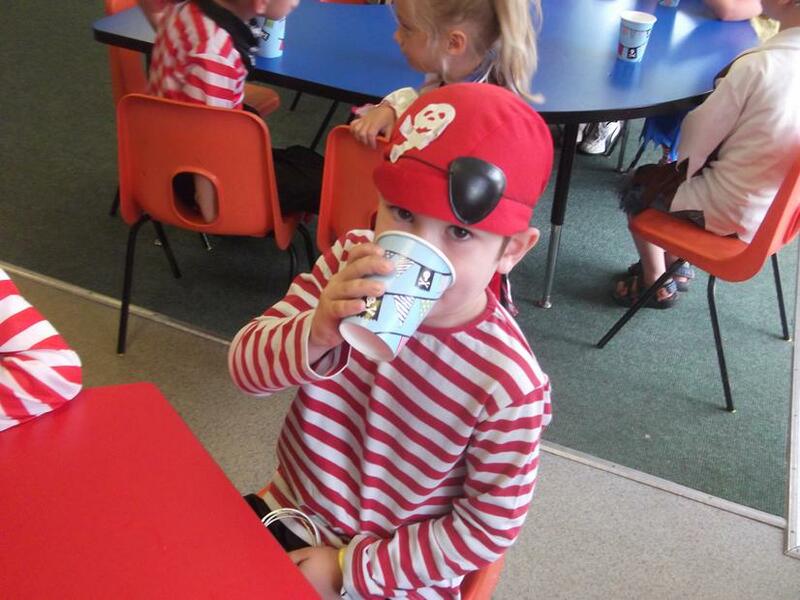 We drank pirate grog and ate worm jelly at our pirate party. 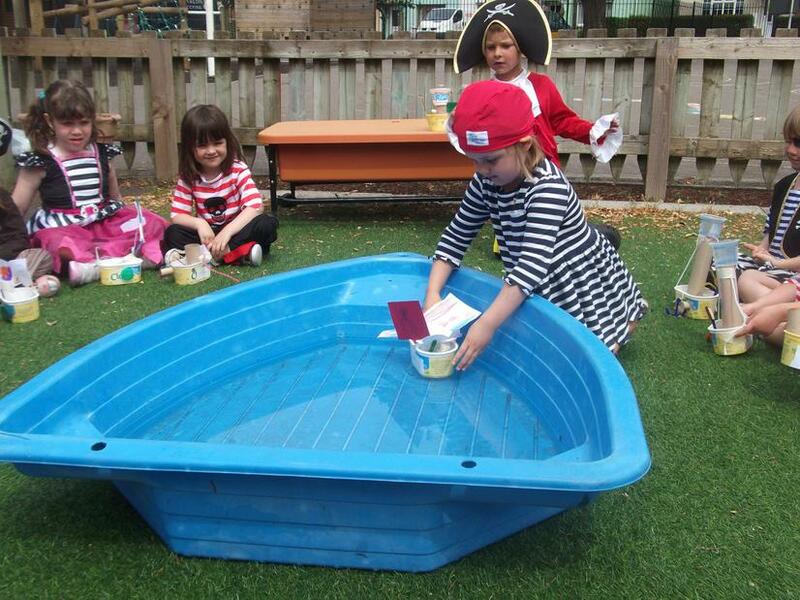 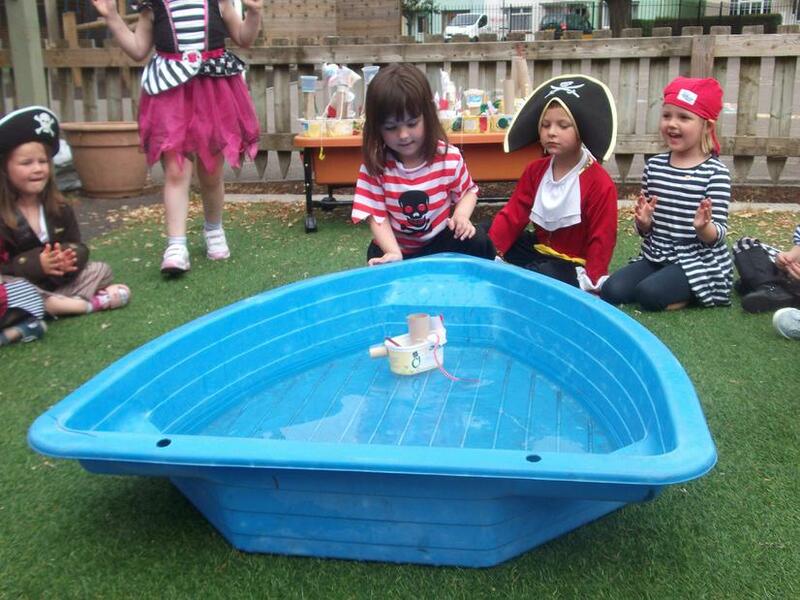 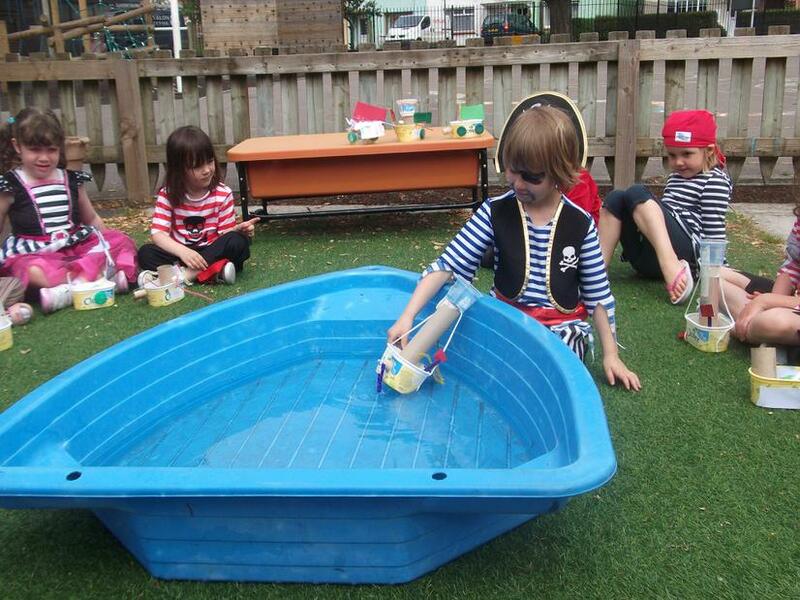 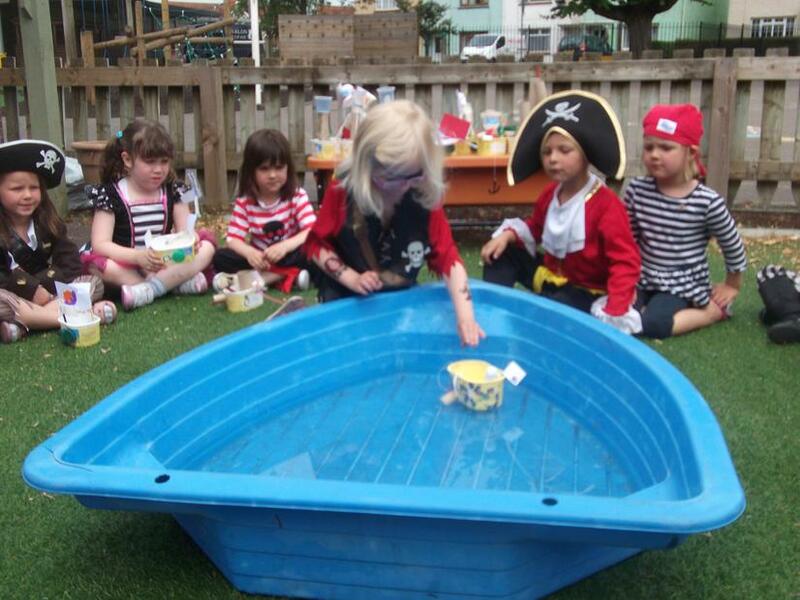 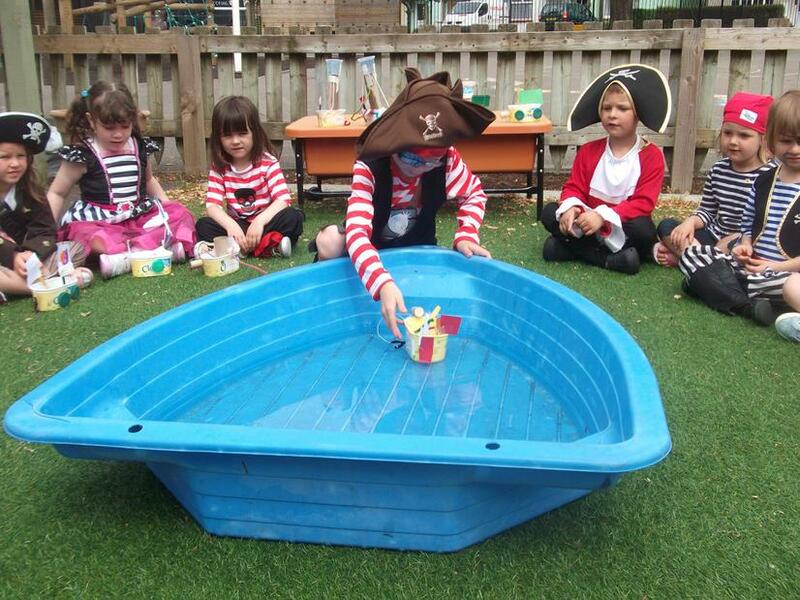 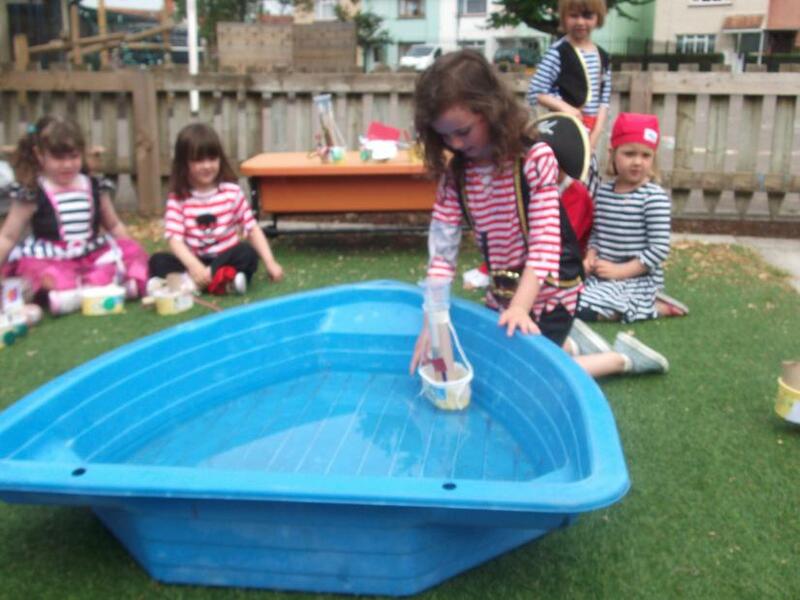 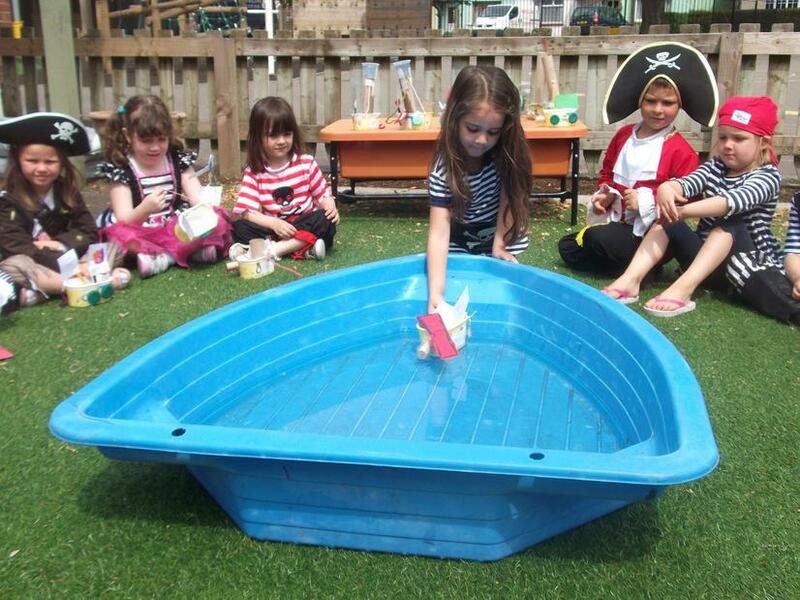 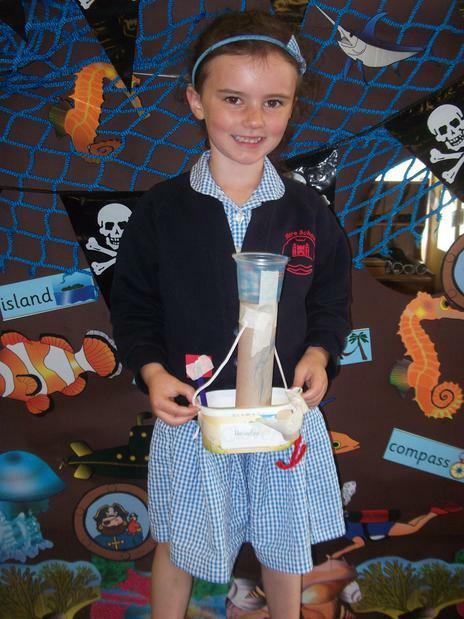 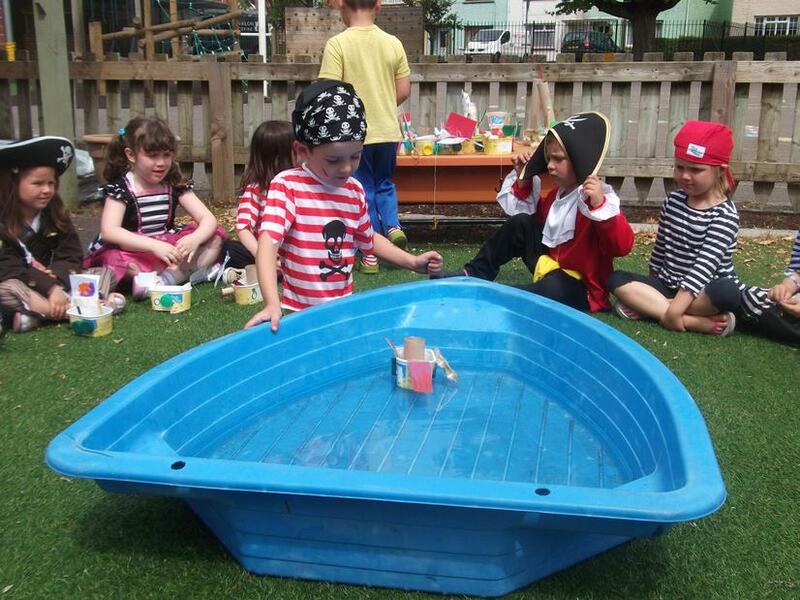 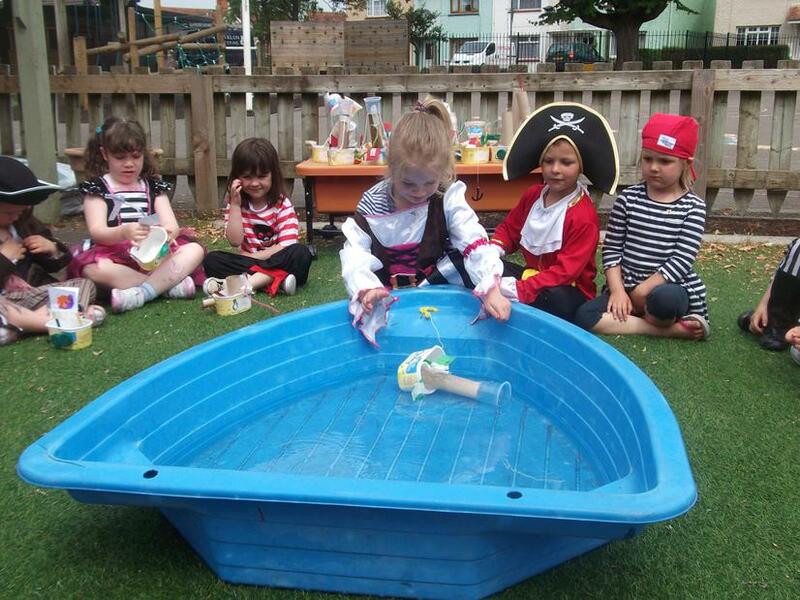 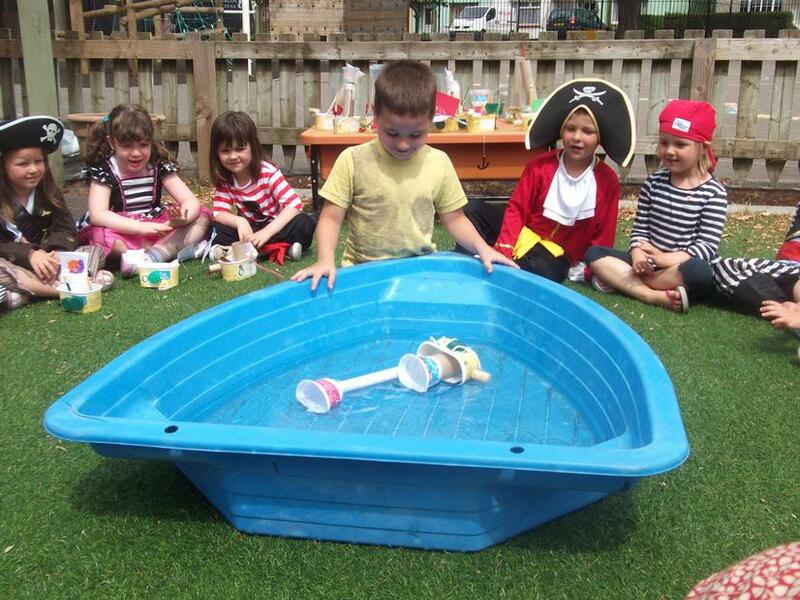 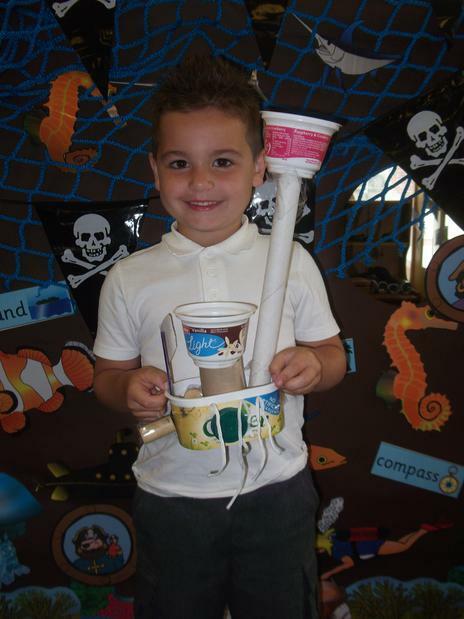 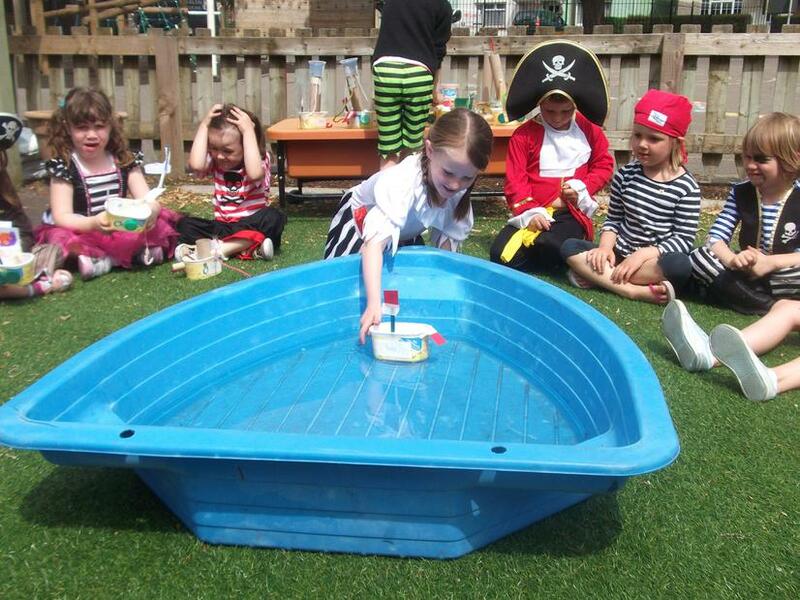 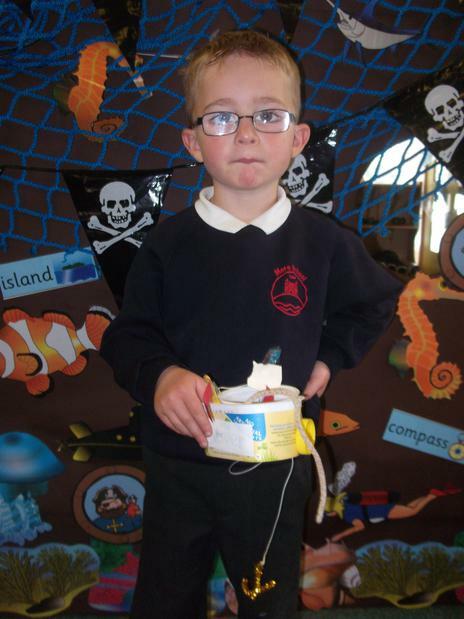 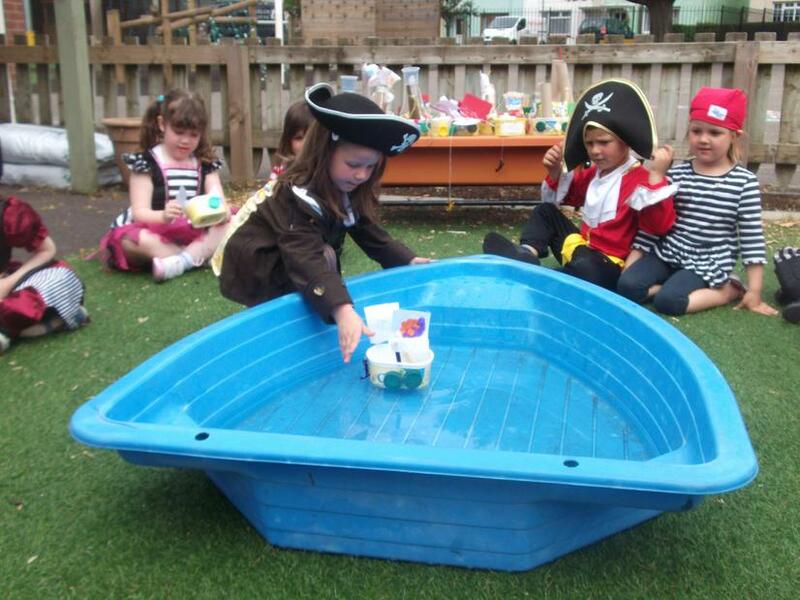 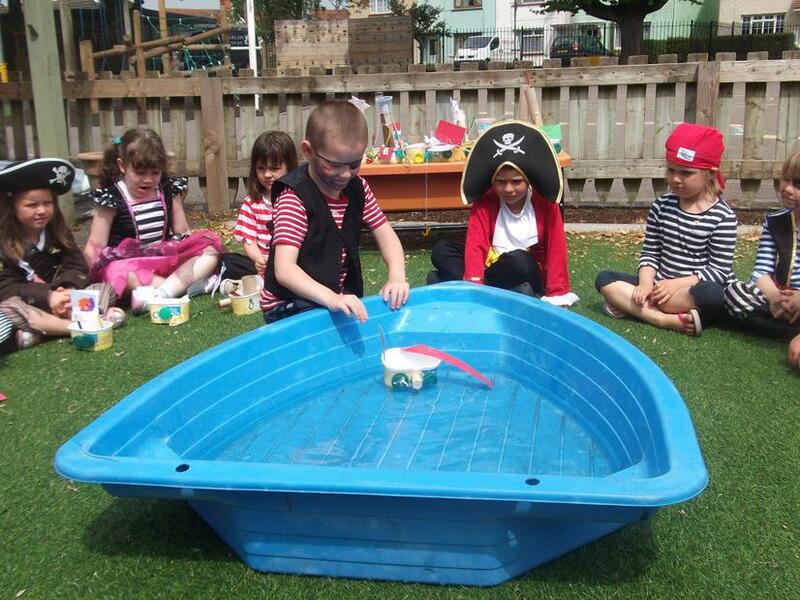 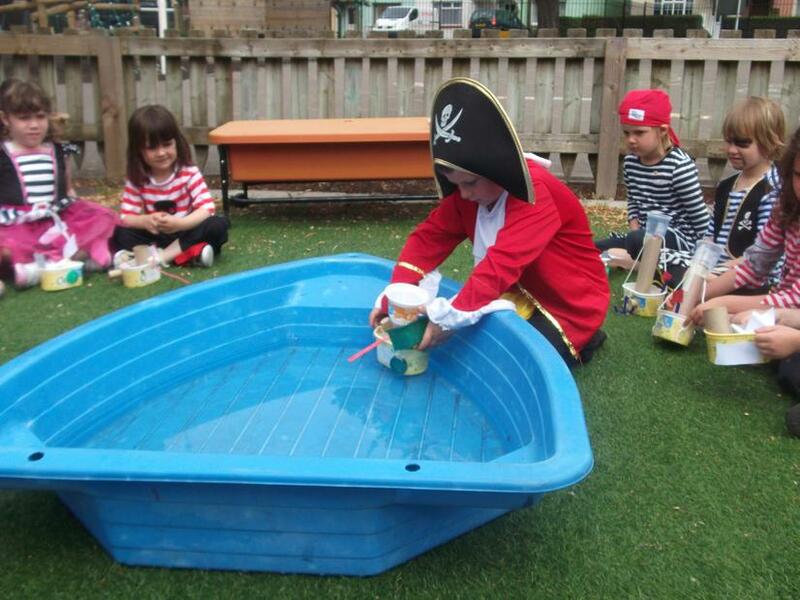 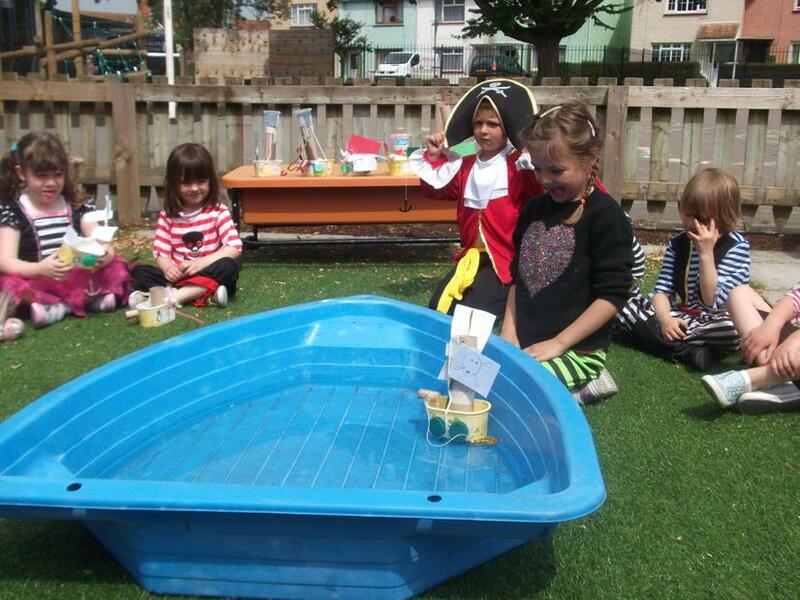 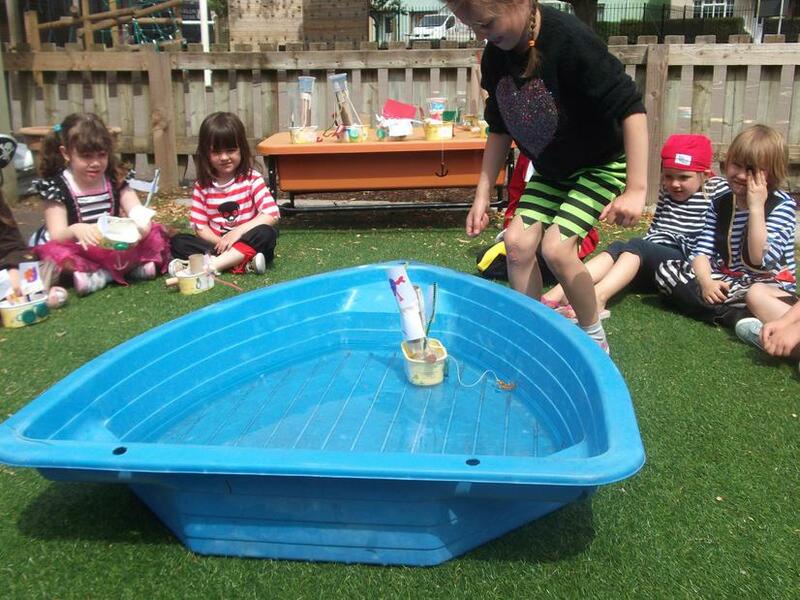 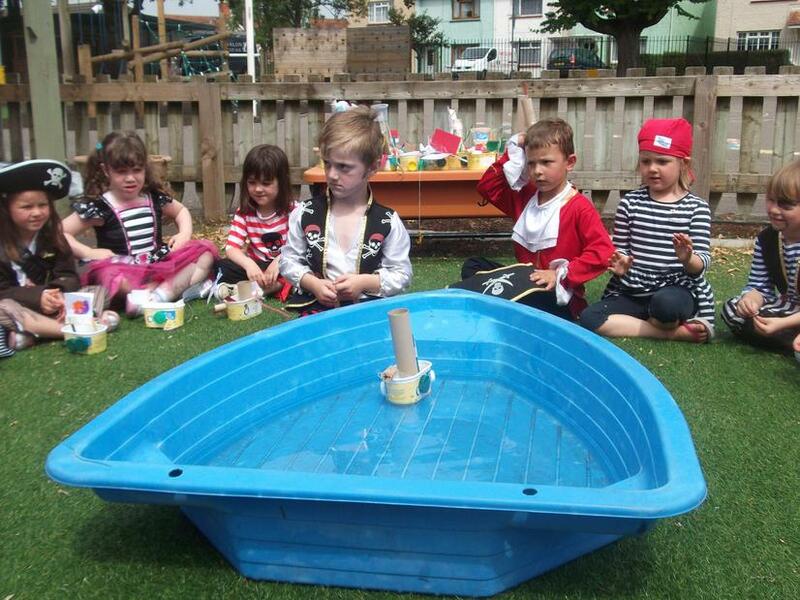 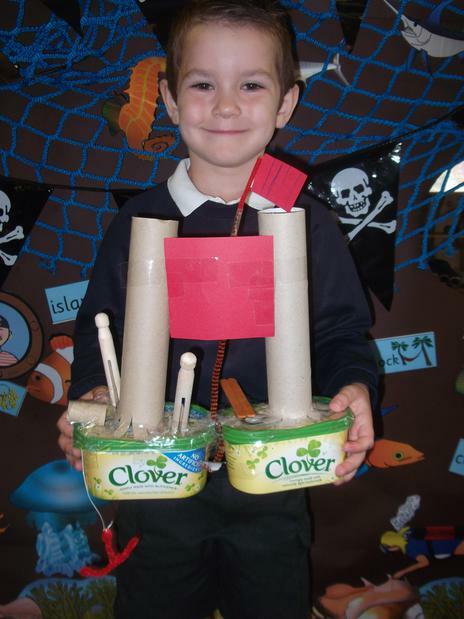 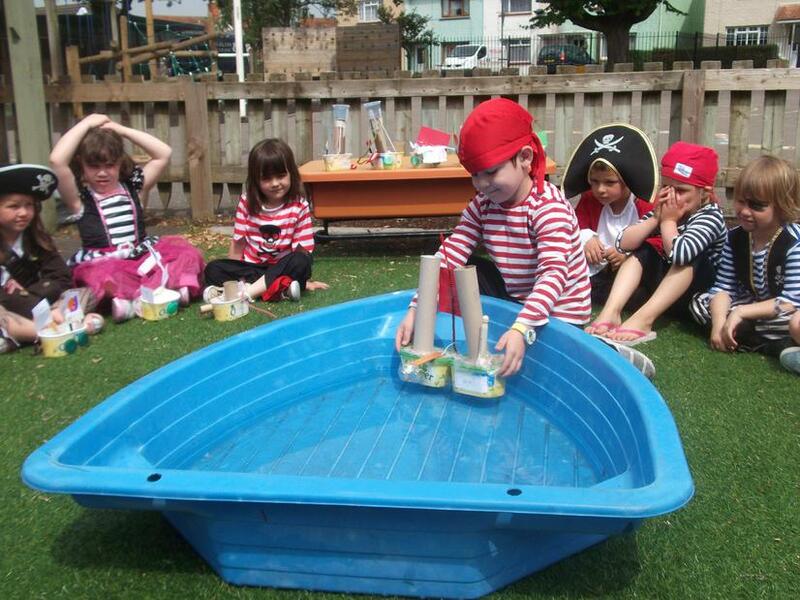 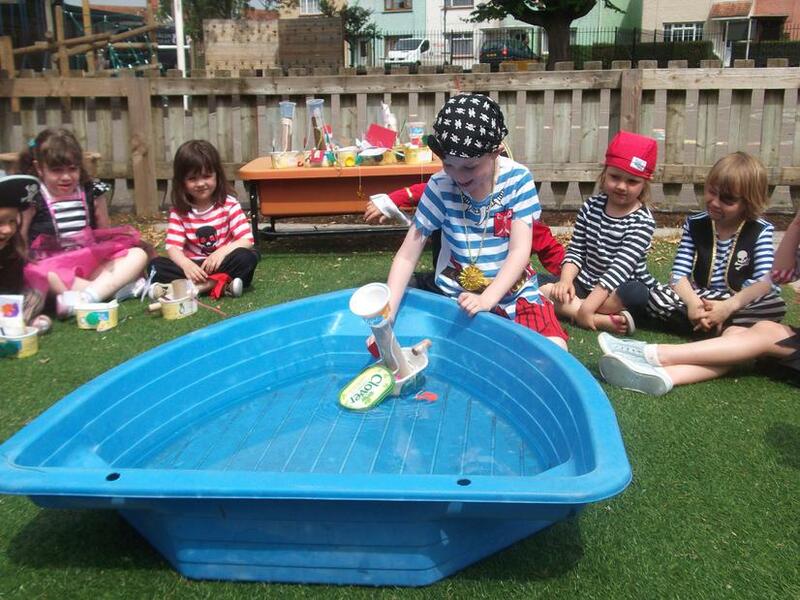 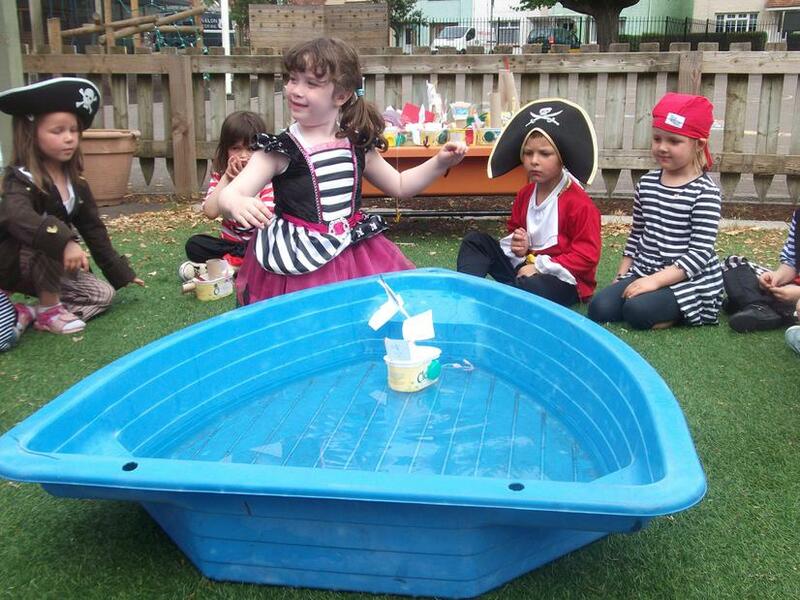 We tested to see whether our pirate ships would float or sink. 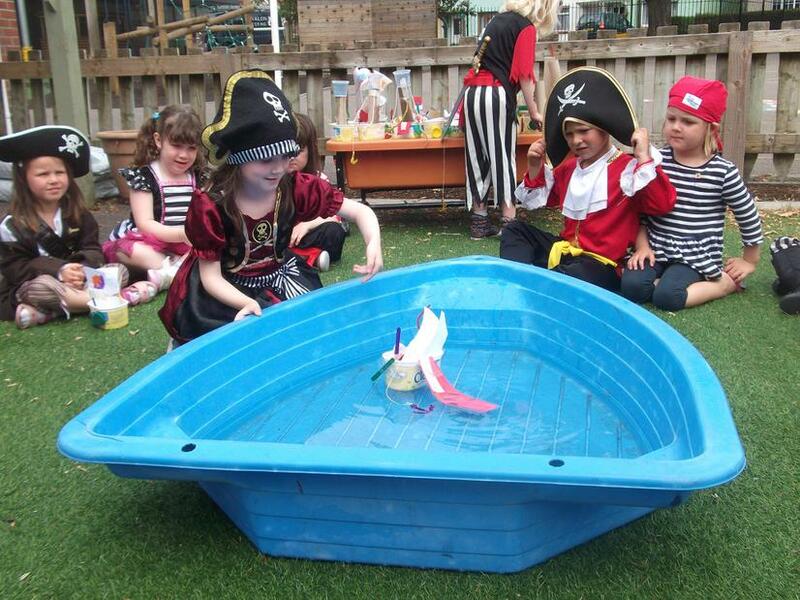 Unfortunately, a few did sink!